Mia Young, 4, of Huntingdon, doesn’t speak. She received a new communication device — a voice that she will have at all times. It’s an iPad installed with a prescribed communication app. Such devices are not covered under insurance plans because iPads are typically not restricted to communication use only, said Charles LaVallee, CEO of Variety Children’s Charity. Variety, the Pittsburgh-based children’s charity, partnered with the Appalachia Intermediate Unit 8 team in Altoona to provide adaptive equipment to 12 local children with disabilities, including Mia, who attends therapy sessions with speech pathologists at the intermediate unit. On Monday at the Inter­me­diate Unit executive offices, the charity presented two adaptive bikes, two adaptive strollers and eight communication de­vic­es — all together, $16,200 worth of adaptive equipment. Mia’s mom, Anita Young, said it was a dream come true. Mia began trying a communication device in the spring, and it has been a catalyst for her understanding how to communicate. Now she has her own. Over the years, Variety has provided more than $300,000 worth of adaptive equipment to children in the four counties of Interme­diate Unit 8. Through donations, Variety offers three types of adaptive equipment: adaptive bikes, adaptive strollers and communication devices. Young said at first she and her husband, Matt, were worried that Mia would become dependent on the specialized app to communicate. However, if it is used with a plan developed by intermediate unit speech pathologists, the device gives her hope that someday she will speak with her own voice, Young said. 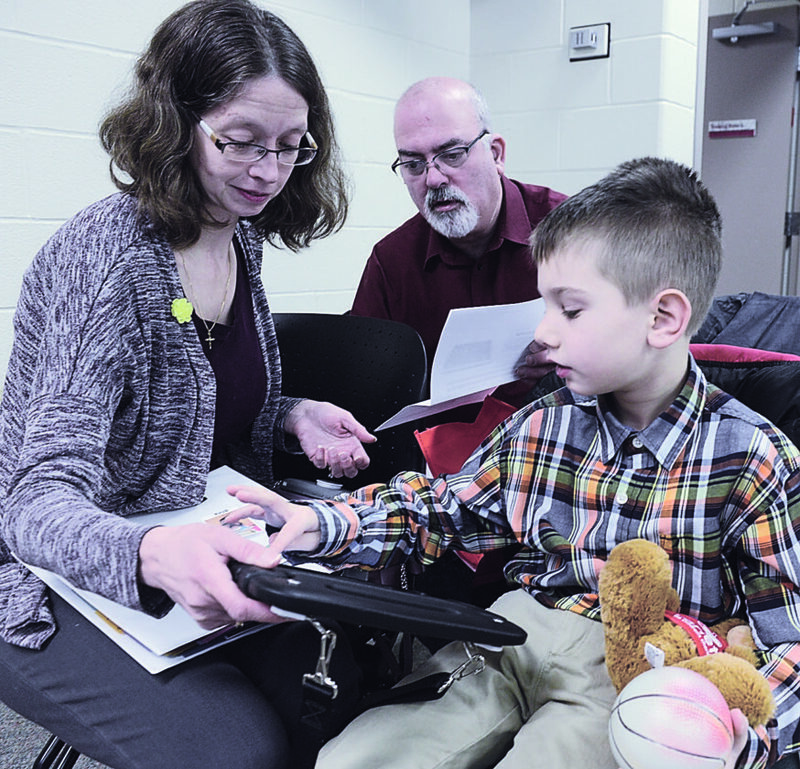 Miles Rice of Altoona became emotional when he described how the communication device has transformed the life of his 8-year-old son, Nathaniel Kifer. “His whole world is opening up,” he said. Families can apply online to receive a piece of equipment through Variety. LaVallee said the charity’s income eligibility is wide and includes working families. “The cost of an adaptive van is more than a mortgage. Often families with kids with special needs have costs that can be so high,” he said. For more information on Variety Children’s Charity or to apply for a piece of equipment, visit www.varietypittsburgh.org.